This week the theory of slowing iPhones was validated by external sources and eventually corroborated by Apple. A customer on reddit noticed that performance on his iPhone increased drastically after having the battery replaced, a process not normally recommend to be done by consumers. 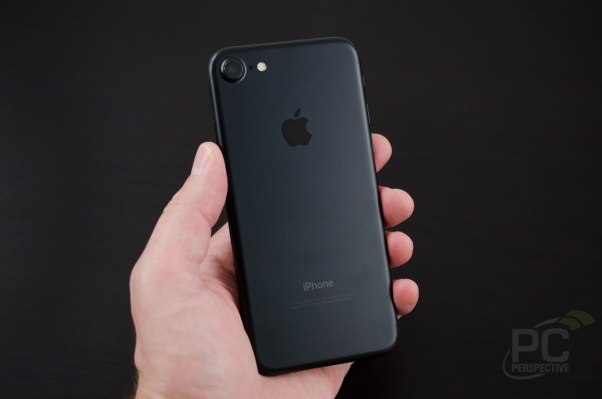 With that information at hand, developer John Poole used the massive amount of data provided by the popular benchmark Geekbench to analyze performance results, iPhone versions, and operating system revisions to find a distinct pattern. The short conclusion is this: Apple has been updating its operating system over the years since the release of the iPhone 6 to reduce maximum performance of the processors in its phones. The reasons behind the move are less malicious than some conspiracy theorists created, but the impact on consumer experience remains the same. Apple was forced down this road after iPhones began shutting off unexpectedly during periods of heavy load, which could be from simply opening an app or starting the camera. The technical reason this occurs is because the lithium ion batteries used by Apple and the majority of the high-tech world degrade over time. Their ability to provide current to the processor (and other components) is reduced through repeated charge and discharge cycles. This is a well-known and understood phenomenon in the engineering world and accounts for reduced battery life over time in laptops, phones, etc. But until now it had not been confirmed to be reducing the performance of consumer products. An iPhone would suddenly shut off to protect the system if the processor was requesting or drawing more power from the battery than the battery could safely provide. As a processor clocks higher (runs faster), it requires more power to operate. In order to reduce or remove the chances of a protective shutdown on the iPhone, Apple limits the processor clocks to a lower state, which in terms lowers performance in both consumer experiences and synthetic benchmarks used to evaluate that performance. Apple’s desire to prevent its products from failing is obviously a good thing, but its methodology, communication, and denial of this process resulted in it becoming a more substantial problem for the Cupertino-giant than it might have been otherwise. Apple denied for years that phones were slowing down for any reason. Consumer complaints and theories continued to pile up. Data and analysis prove that software updates are what initiate the reduced performance and now Apple has admitted to the actions and given its reasoning for it. Many media have circulated stories about why Apple would choose to enforce this action, and there are indeed valid points for iPhones to implement this change. Obviously, keeping a users’ phone powered on without suddenly powering off is an improvement in user experience. It also means that battery life of the phone will be extended as a processor running at a lower clock speed requires less power from the battery. And this also makes iPhones safer in a world where lithium-ion batteries and the Samsung Galaxy Note 7 experience have come and gone. But reduced performance through software updates as the batteries age is not the only potential solution to the engineering problem at hand. Apple is unique in the smartphone world in that it designs all aspects of the iPhone, from the processor to the operating system. And it has full control over the production of the battery system. Knowing the battery size (which also limits the total peak power draw from the battery) and software system in play, Apple could have (and I would argue SHOULD have) designed and specced a processor that would provide consistent performance throughout the life of the phone. Yes, this would result in lower peak performance for iPhone devices. But Apple already enjoys a sizeable performance advantage over the competing options in the SoC (system on chip) market including Qualcomm, Huawei, and others. The A11 Bionic processor is nearly 70% faster than the next best non-Apple processor, the Snapdragon 835, based on Geekbench numbers. Apple could have lessened that performance advantage in order to provide a stable and consistent experience for users that choose to keep their phones for more than a single 12 month cycle. Some users might balk at the idea of holding back Apple silicon performance, but keep in mind that mobile devices need to be engineered quite differently that desktop PCs. Intel offers scalable clock speeds and power draw for its notebook processors, for example, but the battery system is much larger and is able to provide peak power for those performance demands more reliably. Does this same behavior exist in the Android ecosystem? It seems unlikely as most flagship smartphones in that space ship with much larger batteries that would lengthen the time required for the battery degradation to affect peak current draw. I’m sure there are plenty of individuals looking for examples as you read this, and we’ll know about them soon, if they exist. At the end of the day, what Apple has done with this is lose trust with an audience of consumers that held faith that it was always looking out for them. Apple was never open about the potential for reduced performance on your phone over time, be it from battery wear or software updates. Now the truth is out there, and the debate on what comes next will begin.